We cannot imagine life without electrical power, right? Do we? So, I took the time to look into the various forms of power production. And tidal energy cuts across as an interesting form of power generation. With the advantages and disadvantages of tidal energy, it can solve a problem we had for years. We may take for granted the little things that electricity helps us to finish. It can be ironing that creased shirt for work or warming your food in the microwave. But we should all secretly thank the innovators who produce electricity efficiently. Come to think of it, most of us – myself included – never bothered to know what forms of power production we are using. As long as we have electricity in our houses or places of work, it was fine for us. Yet, with increasing economic growth, our demand for electricity grows with it. If cut short for some period of time and with no back-up source of power, a country can lead to a crisis and chaotic state. Since it is almost impossible for oceans and seas to dry up, we can consider tidal power to be a renewable source of energy. How Do Tides Produce Energy? To understand the importance of converting tidal energy to electrical power, you need to determine its process. 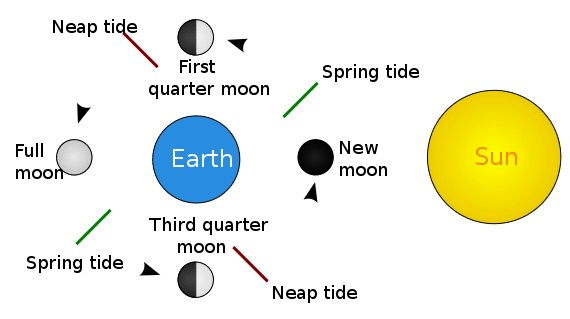 We all probably know that the earth revolves around the sun, while the moon rotates around the earth. What many of us may not be aware of is that these rotational effects enable the earth to move vast masses of water through the gravitational forces from the sun and the moon hence producing tides. When the sun, moon and the earth aligns, the gravitational pull of the sun and moon also align. In result, the pull becomes stronger. This causes large quantities of water in the oceans and seas to move towards the shore. Then, a high tide state now occurs. Now, when the sun and moon form a 90-degree angle with each other, this causes the gravitational forces between the sun and moon to cancel each other. The effect of this is a weaker gravitational pull. This causes water to ebb away from the shores and hence a low tide state occurs. Since we now know what creates the tides, it becomes easy to predict their occurrence. Most high tides occur during a new or full moon. 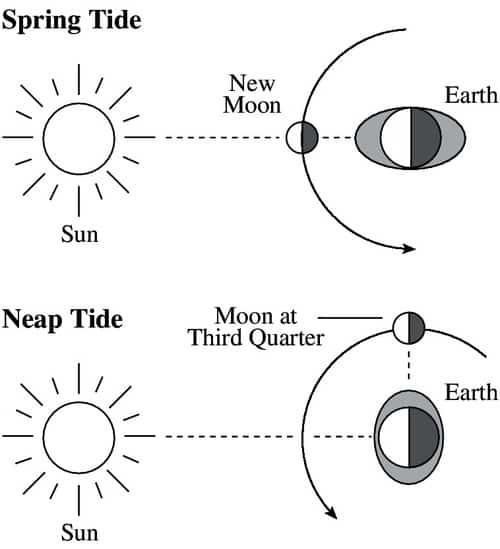 While most low tides occur when the moon is in the quarter moon stage. How Can We Obtain Tidal Energy? These technologies are based on the three categories of harnessing tidal energy – a barrage for the first category, tidal stream for the second category, and hybrid applications like tidal lagoons for the third category. These technologies, also, have their own advantages and disadvantages. These characteristics limit their use according to their efficiency. Some technologies need shallow water, others need a deep water source, and other technologies can operate in either case. As long as there is tide, to begin with, tidal energy can be effectively harnessed. With these technologies and challenges, what makes tidal energy so uncommon these days? And why are there only a few countries that use it commercially? To answer that question, we should know the advantages and disadvantages of tidal energy. But let us first look into some advantages of tidal energy. This will give us ideas as to how tidal energy can be truly beneficial to us and why should we invest in it. First and foremost, tidal energy is renewable energy, which means that it is inexhaustible. Tides are not observed to be diminishing in the status quo and this is something we can make use of. As an abundant resource where we can easily harness its energy, tidal power has a very good potential for power generation. Additionally, tidal power does not require fuel to operate, which leads to a cleaner environmental result. Using tides as the energy source, there will be no use of fossil fuel and it can operate almost endlessly. It does not even require oil to operate that can result in harmful greenhouse gases and oil spills. Unlike any other power plants that spend too much on maintenance and manpower, tidal energy requires less of them. Since tidal energy is a renewable source, it does not need a lot of maintenance. Additionally, the plant requires less staff during operation. Tidal energy uses tides as its major source of energy. This means that a tidal power plant only needs the depth of water and its changing water level to generate power. With this in consideration, we can build tidal power in many different water areas. With each country having its own bodies of water, the reservoir for this energy is quite impossible to run out. 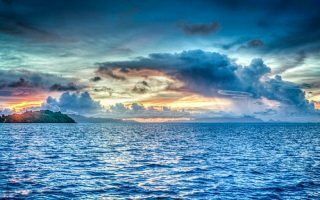 Earth consists of 71% water, which makes it more convenient for tidal energy. Not only can it be for power generation, but tidal reservoirs also enables for the creation of new recreational lakes and other landmarks. Technologies used for tidal power usually involve underwater equipment. This is a considerable benefit to society because it does not destroy “water views.” Though not all, tidal power technologies offer much more space and clean sight for everybody inhabiting near the power plant. In addition, to minimize visual impact, tidal power equipment produces little to no noise pollution. This is due to the fact that the equipment used is underwater. And the water absorbs all the noise it creates. This makes a comfortable environment for all animals and people above ground. Even before anyone thought about harnessing tidal energy, we can successfully already predict tides all year-round. With our ability to do so, tidal power can now be easily maintained producing desired results. High predictability enables tidal power plants to make necessary adjustments to the equipment for effective operation. With varying technologies, we can harness tidal energy at an optimal rate by putting the right technology at the right place. Since we can predict tides, we can also apply appropriate technologies to different places and lessen energy waste. Power plants determine the efficiency of fuel, which is the key to its rising success. 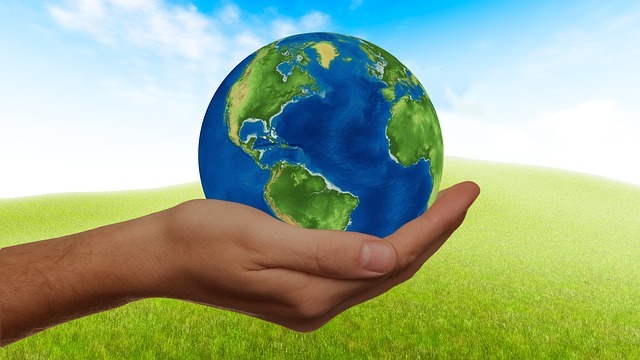 For a plant to be efficient, it should see to it that they utilize the energy source very well to the point that the plant uses most of its energy. In this case, tidal power plants make use of 80% of tidal energy to generate power. This number is significant compared to coals and fossil fuels, which only make use of 30% of its energy. 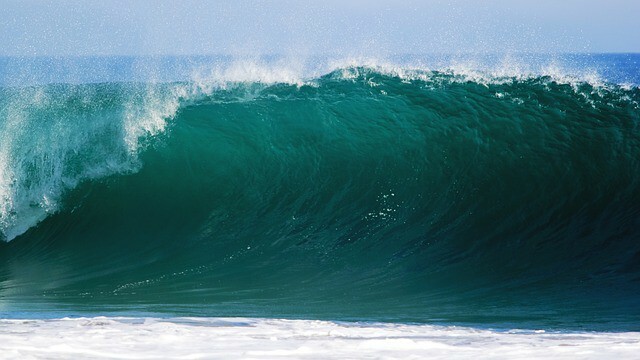 With 20% of waste energy, scientists suggest tidal energy is a very efficient source of energy. We can use this energy optimally and be able to resolve the problem of increasing demand for energy consumption. Just like air, water acts as a fluid but has a higher density than air. This means that even with a low volume of water, its amount of energy is similar to that of a larger volume of air. This is truly beneficial to tidal power plants since it uses water as its main source of energy. Using water’s density, tidal power needs small turbines to operate and generate power. This is one big advantage of tidal energy as compared with wind energy. Since tidal energy has a greater energy density than other renewable sources, it has a great potential to generate power with less required volume of the source. With regards to power generation, this may not seem relevant but tidal power plants can be truly beneficial to coastal areas. With its equipment underwater, it can prevent big waves and storm surges from touching the land. This brings safety and security for all the townspeople living near or far the coast. So, we have just seen a few reasons why we should consider building power plants that utilize tidal energy. Let us now look at the reasons as to why tidal power is not yet commonly used worldwide for commercial use. Specifically, let us consider the disadvantages of tidal energy that limits the commercial use of such energy. First of all, it is not that easy to build and start a business of tidal power plant. Tidal power plants have to consider more things in constructing the facility than other power plants. This is due to the fact that it uses water as an energy source and placing necessary equipment at the right place is crucial. Not just for safety purposes, high cost includes careful planning and strategy to run an effective and efficient power plant. Just by making the dam alone, or the so-called barrages cost a lot already. With many other processes and equipment involved, tidal energy compensates high upfront costs with low operating costs. Since this technology only operates underwater, developers have great fear over the effects it can cause to marine life. The vibrations produced from the rotating turbines may, in a significant way, interrupt and affect marine life movement and ecosystem. This poses a great danger to all inhabitants underwater, specifically at the plant location. While this power plant can be of a huge benefit commercially, it requires a lot of time in order to produce efficient and reliable electricity. If we also consider its installation costs, then this would even take a much longer gestation period. Specifically, the tidal power plant can only effectively generate power during the low tide and ebb of the tide. While we are aware that tidal power plants harness energy from tides, it is quite unreliable. This is due to the reason that tides only occur twice in a day. This means that tidal power can produce no electricity when there is a lack of these tides. Therefore, this system requires a back-up power production plant or an energy storage system – in which case, both would require additional costs to set up. Tidal power plants require strategical areas of installation in order to acquire maximum power generation. This means that only coastal regions with suitable sites can produce this form of energy. At the status quo, there are 20 good known locations for tidal power yet. But there are hundreds of locations where power plants can install their plants but need further studies to lessen harm and increase profit. Once the electrical energy has been produced, it will need transportation so that we can benefit from it. Generated power from tidal systems in the sea is sent to the land through long cables that are underwater. This distribution costs may be relatively high and some electrical power may be lost to the cables along the way. This mainly affects the tidal barrage system. 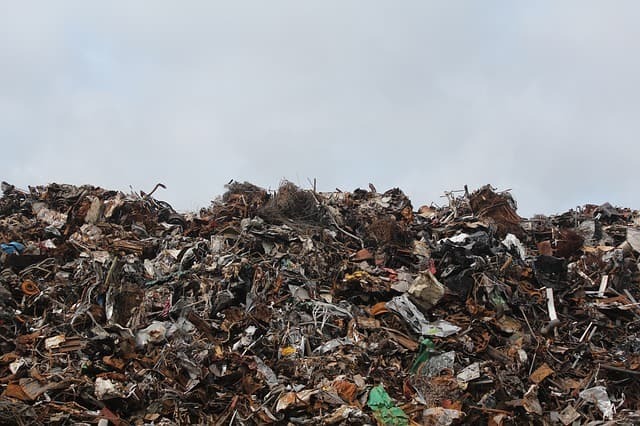 Sediments, silt and other water pollutants like plants or rubbish from rivers or streams that deposit into the ocean can get stuck into the tunnels of the barrages and not flow through. This will then cause a buildup of the garbage in this tidal system. Therefore, turbine blades may end up clogging and the system can end up failing. To wrap it up, this form of energy has a great potential for use in the future due to the ability to accurately predict the tidal occurrence and also the availability of large ocean bodies. Also, due to the continuous depletion of fossil fuels, we may have to seek alternative energy sources that are renewable and sufficient. This is where tidal energy will be fully utilized. However, it requires huge investments and the sites for its limited production despite the plentiful availability of large water bodies. The balance of the advantages and disadvantages of tidal energy would need to be examined closer to harness its energy efficiency. Still, it can be utilized as an additional power supply and this is what I think would be best for now. Previous ArticleHow To Actually Control Soil Pollution?